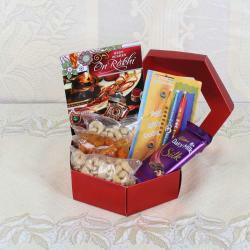 Cherish the moment of love with your dear ones and gift them this Raksha Bandhan special gift hamper as token of your love. 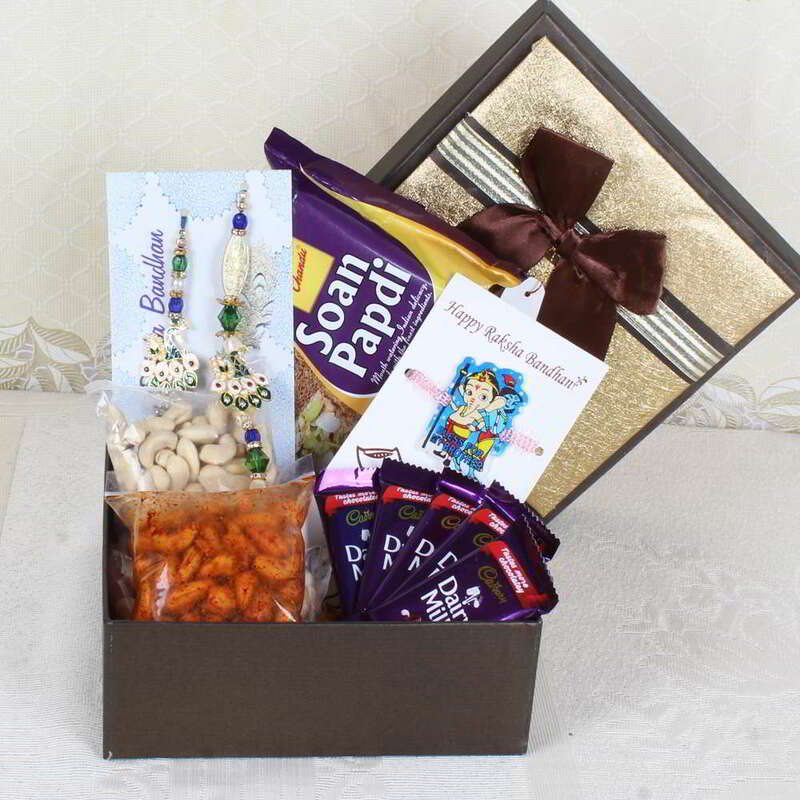 This special gift hamper has Cadbury Dairy milk chocolates, Masala and plain cashew nuts, chocolate flavor Soan Papdi along with a designer Lumba Rakhi and Ganesha Krishna kids Rakhi gift box. 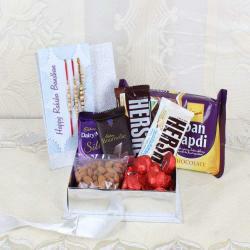 The tempting look of the gift hamper is a perfect way to bless them with your love and care. 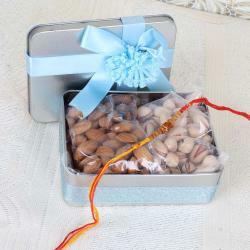 Sparkling beads of the Rakhi will brighten up their wrist on the auspicious day and they will fonder it dearly. 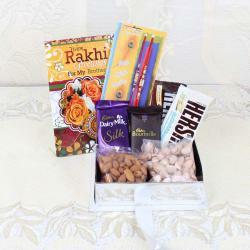 Product Consists: Cadbury Dairy Milk Chocolate 5 Bar (Weight: 12 Gms) with Cashew Nut (Weight: 100 Gms) and Masala Cashew Nut (Weight: 100 Gms) and Chandu Halwai Soan Papdi Chocolate Flavor Pack (Weight: 200 Gms) along with Designer Lumba Rakhi and Ganesha Krishna Kids Rakhi in Gift Box.